As we bumped along the roads it was easy to get lost in the breathtaking scenery of the lush, bright green rolling mountains of Rwanda. 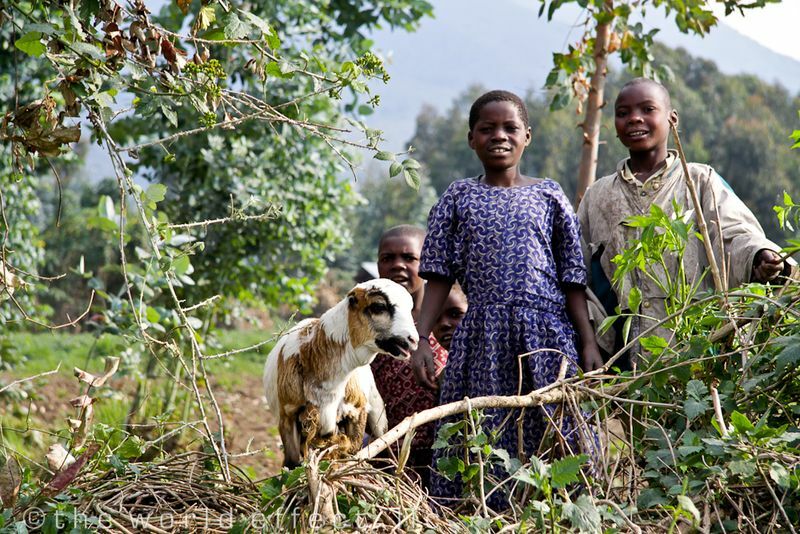 Rwanda is known as the "land of a thousand hills", there is no disputing this. Rwanda is easily one of the most beautiful countries we've visited during our around the world trip. 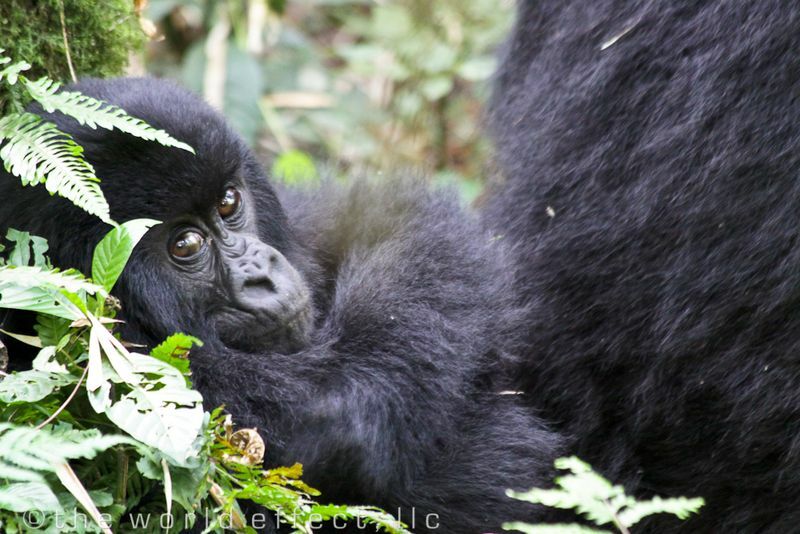 The scenery alone was worth a grand finale to the overland Africa portion of our trip, but our trek into the mountains to see the Gorillas would become not only a grand finale, but an experience of a lifetime for us. 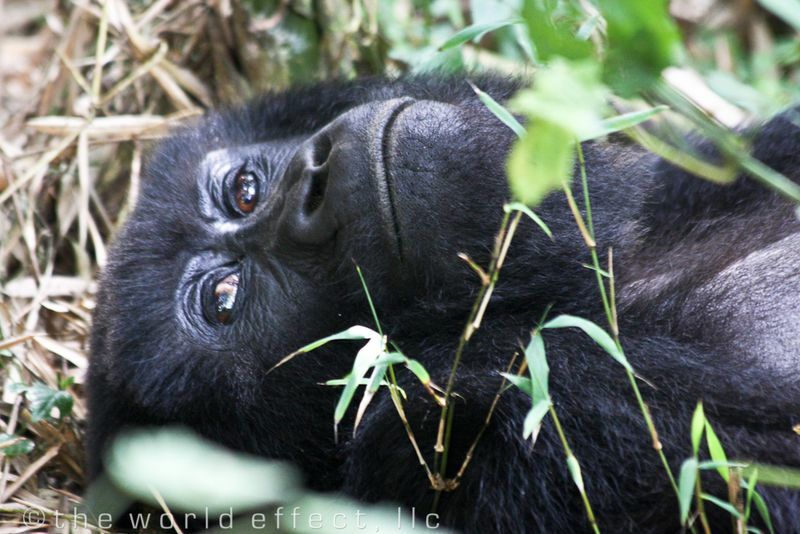 We reserved gorilla permits months ago, it was hard to believe our day to see the mountain gorillas had finally arrived. We met early in the morning at the Volcanoes National Park visitor center to meet our guides and divide up into groups of 8 or less. Once in our group we drove up to the park entrance to meet a team of trackers and an armed guard. 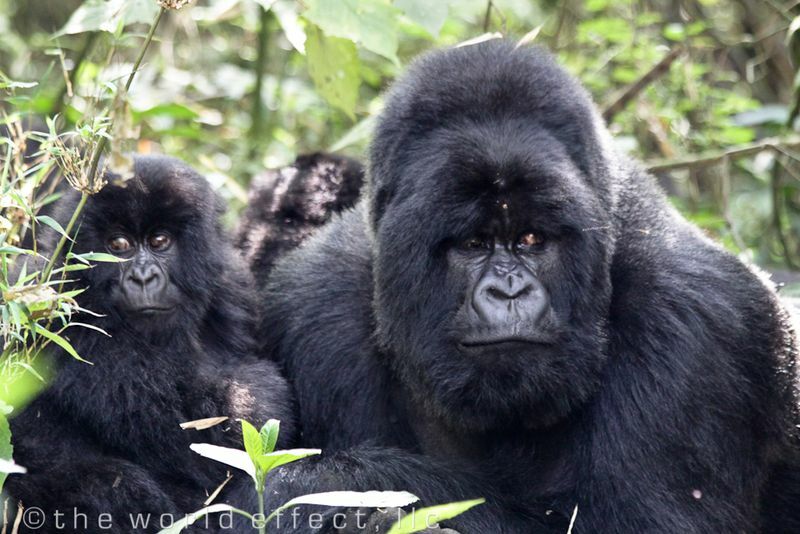 Trackers and guards are near the gorilla families 24/7 to protect them from poachers. The trackers said that the Gorilla family we were to visit was near the top of the mountain the day before and we were to expect a four hour trek. We were prepared to go as long as it takes and set up the hillside. The first part of the trek was through beautiful green terraced potato fields. We were greeted by several farmers and kids wearing colorful traditional clothing. We then left the open fields and entered into a dense jungle of vines, trees and bamboo. 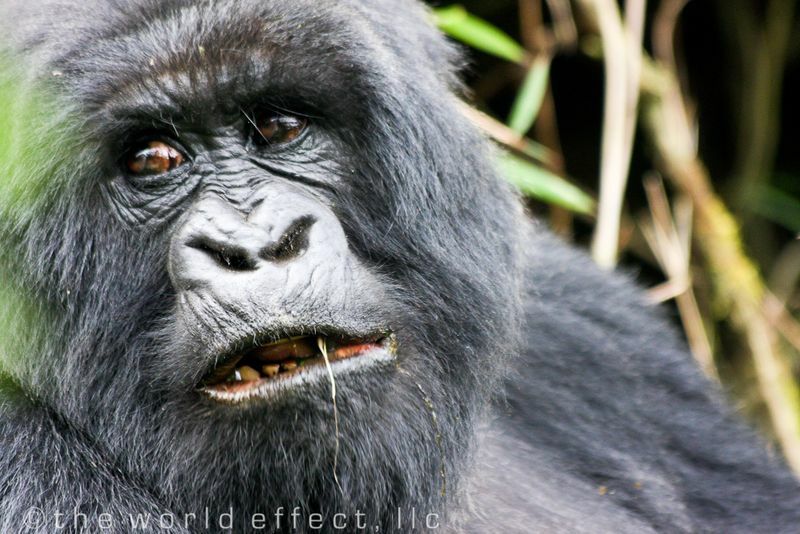 No more than 20 minutes into the jungle we were met by the trackers that stayed near the gorillas over night. 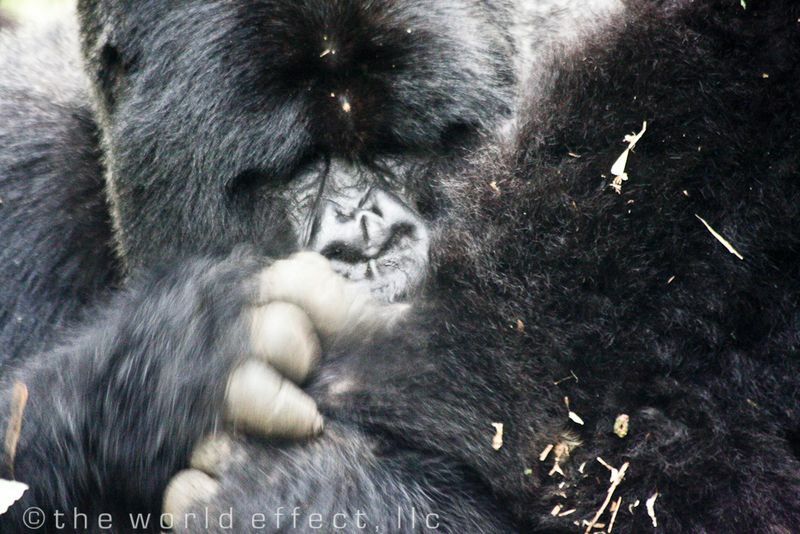 The family of gorillas came down off the mountain during the night into a low lying ravine area very close to us. We were instructed to drop our bags, water, food and everything else we were carrying except for cameras. Another 5 minutes of walking we heard the first signs of the gorillas, breaking branches and deep grunting noises. Moments later we found ourselves directly in front of a female gorilla and a 2 year-old baby. Soon we were among the entire family of gorillas. It was one of those times where you had to question if it was reality or a dream. These beautiful animals were right there in front of us, amazing. We visited the Hirwa family. This is a unique family because it only has one silver-back (adult male) gorilla named "Lucky". All the other families have multiple silver-backs with one dominant one. 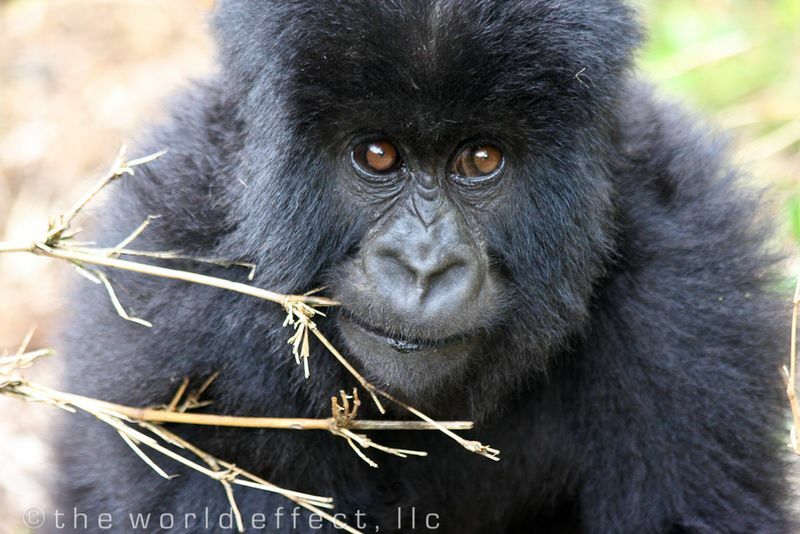 The Hirwa family consists of Lucky, 5 adult females and 5 kids. Groups are only permitted to view the gorillas for one hour. This was a very fast hour. We watched in awe as the family went on with their life. 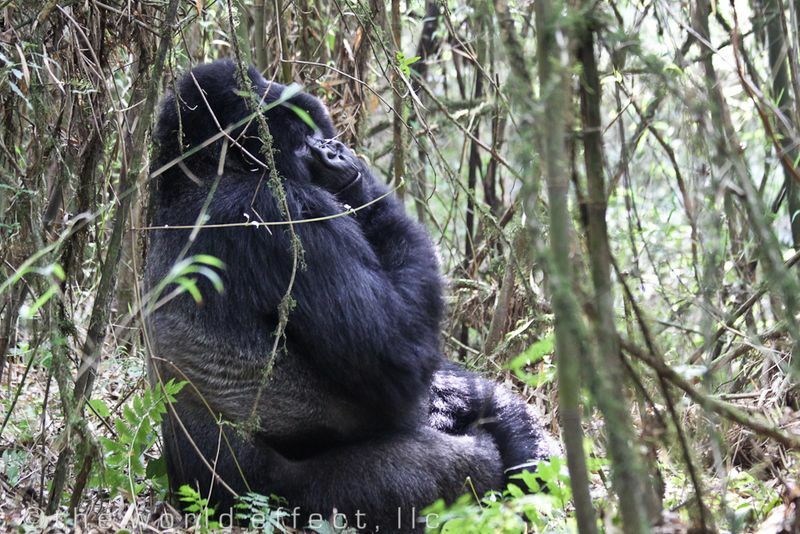 We watched the silver-back gently cradled his kids, we saw the gorillas eating, playing and lounging. We could have watched for days if we could. This is easily on our short list of "best things on earth to see." The video of this experience will be on our website tomorrow. That is so incredible, the pictures are amazing! I would LOVE to do this! I’m conjuring up vacation ideas…I’ll be checking back…although you seem a bit intrepid for me!! What incredible photos! 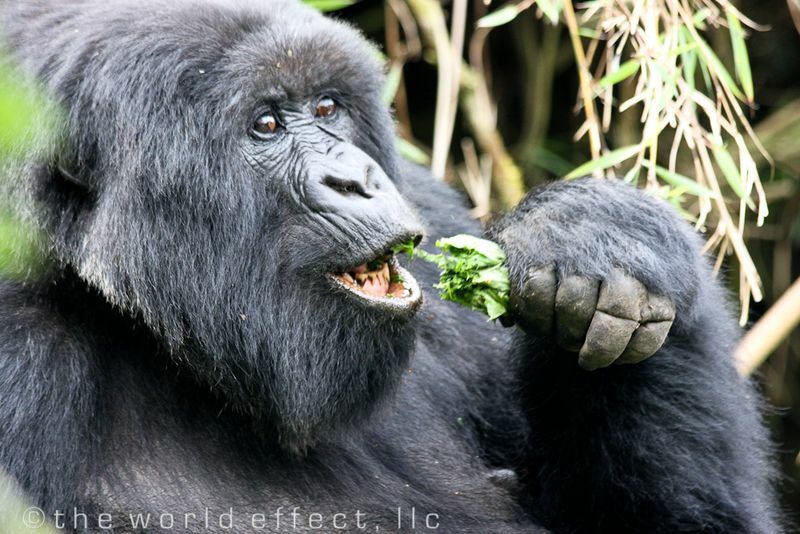 Since I was a little kid I have always had a fascination with gorillas. I have seen them in zoos but cannot imagine what can incredible experience it must have been to observe a whole family in their natural habitat! I’m so envious. I would love to go to Africa, though I’m a little concerned about safety. But it sounds like you guys were just fine. What a marvelous adventure! What an amazing post. My husband and I are planning on doing this during our trip around the world (to begin February 2010). I love, love, love gorillas- so much so that we are only stopping in Africa to see them (not to mention my entire back is tattooed with a silver back gorilla face)! 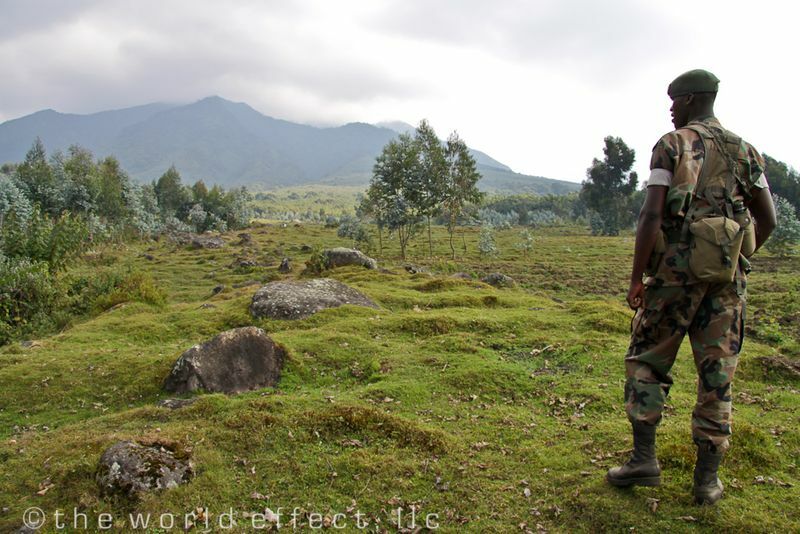 What made you decide Rwanda versus Uganda? How far in advance did you have to reserve the permit? Did you opt for the 2-day permit, in case you missed them the 1st day? What tour company did you use? Sorry for all the questions, but it would be nice to hear the answers from a traveler rather than a travel agent. Great web site. Plenty of useful info here. I am sending it to some buddies ans also sharing in delicious. And naturally, thank you to your effort!